where “invocation” is literally “that which comes forth by the voice”. And there’s kheru, right in the middle of the group, like a wooden spoon ready for stirring the pudding (which would make the other signs a chopping board, a bag of flour and a bottle of brandy in seasonal montage straight out of the Lakeland kitchenware catalogue. Except they’re not.) But you know it’s an oar, and the other signs are a house, a loaf of bread (naturally) a jug of beer and the invisible owl. Back to maa – the pedestal has that distinctive shape because it in turn is a representation of nothing less than the primeval mound; the first bit of land to appear from out of the waters of chaos at the very creation of the world. The Egyptians were used to seeing mounds of land rise from the water every year, as the floodwaters of the Nile receded after the annual inundation, leaving behind fertile silt which they could cultivate. (So, we have to assume that Ptah is standing on a little island, with the waters of the primeval ocean lapping almost at his feet, at the bottom of the little slipway on his pedestal.) The Egyptians assumed that this was how the gods had first created the land on which they lived. To them, this pristine terra firma meant the world the way the gods had created it, the way the world was meant to be. Maa meant “true” or “right” or “just” in the sense of “the proper order of things”. 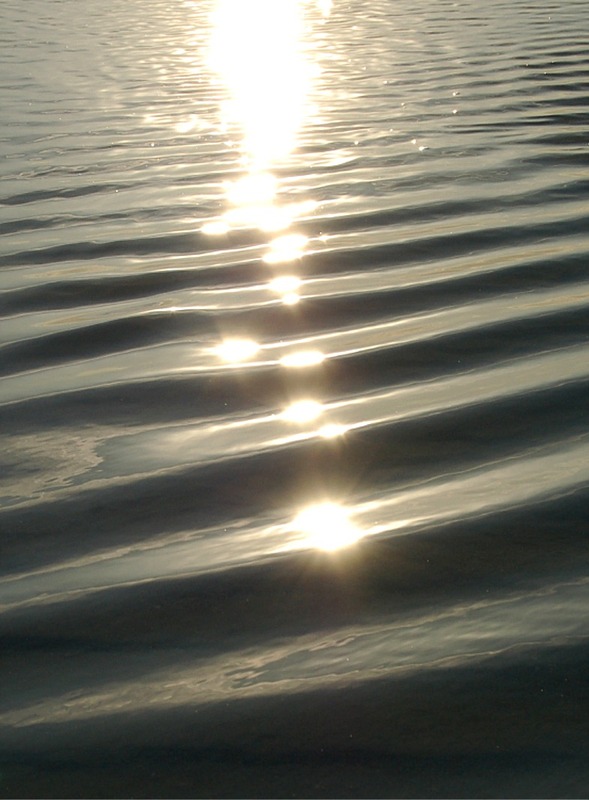 True of voice: the “of” is unwritten but understood from the construction. The maa hieroglyph is easy to draw: a thin rectangle with one slanting short side. 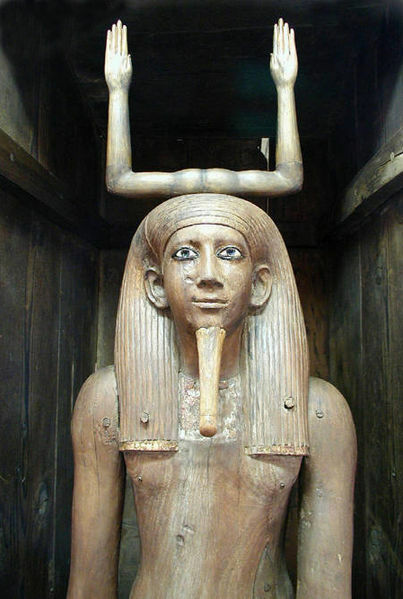 But if our tomb owner Senusret was “true of voice”, what did that mean? They didn’t have karaoke in the netherworld, did they? No. It was much worse than that. To get into the Egyptian afterlife, you had to win the divine version of the X Factor. 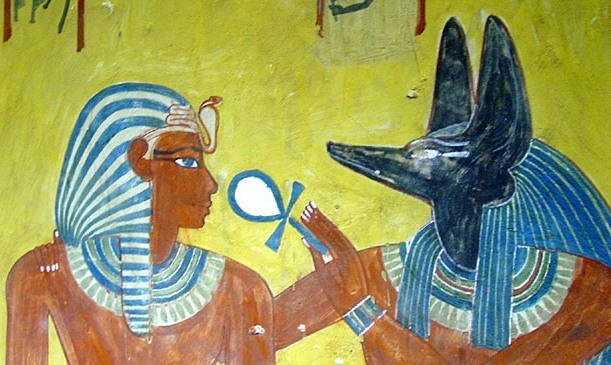 On the left,we have the tomb owner being led onstage by his divine sponsor, the god Anubis. In the middle, the scene shows an early version of the machine used to record the audience’s verdict. Back then, in the days before electronic voting buttons, they used a weighing scale. In the right-hand pan of the scale is a feather, representing truth, order, justice and all those primeval virtues. In the left is the tomb owner’s heart. On the right of the scene, in their own special booth, sit the judges: Osiris, the Simon Cowell of the underworld, sits on his throne, backed by two divas of the day, the goddesses Isis and Nephthys then, and fronted by four lesser judges, his own four sons, who stand on a lotus blossom. The format of the show is this: to qualify for the next round of existence, the tomb owner has to declare that he has led a good life on earth. But just saying so is not enough; he has to prove it. To test whether or not he is speaking the truth, the gods weigh his heart against the feather. If his heart is not weighed down by sin and falsehood, it will balance the feather and he will be let through to the next round. If it is heavier than the feather, it will be thrown to the crocodile-headed she-monster waiting by the weighing scale, (her name is Devourer-of-Hearts, but let’s call her Anne) and the tomb owner will be thrown off the programme – you are the weakest link, goodbye. That won’t happen, though, because in the finest traditions of audience voting reality TV, Anubis is rigging the result by fixing the scale. The Ibis-headed god Thoth is standing by like the Lottery adjudicator to verify the outcome. And sure enough, Anubis is conducting the tomb owner, who has been proven to be speaking the truth, to Simon, sorry, Osiris, who declares him fit to go forward to the final. And ever after, our tomb owner is known as “true of voice”, as a sign that he has passed the test and successfully entered the next world. Hetep di nesu Usir neb Djedu, netjer aa, neb Abju, di ef peret-kheru (em) te henqet, kau apedu, shes menkhet, khet nebet nefret ankhet netjer im, en ka en imakhy Senusret, maa-kheru. How’s that for a Christmas list? 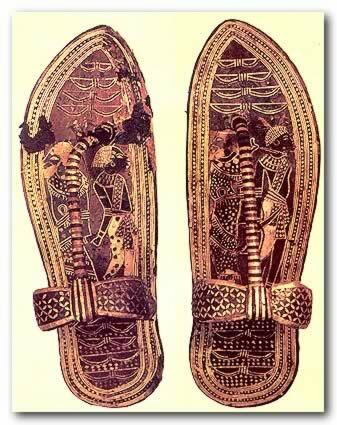 In the last post, I mentioned that there are two letters s in ancient Egyptian. You won’t have been impressed. Who is going to be impressed by two s-es when they already know about the four h-es (even though they haven’t met them all yet)? It’s simple to draw: a straight line with a couple of short cross-hatches in the middle will do. And there we have it: se = man. Isn’t he lovely? He’s a seated man, and he has no sound – he’s the strong, silent type. He has no sound because he is a determinative – a hieroglyph stuck on the end of a word to show what kind of word it is. We’ve had a determinative before, remember? The town or city determinatives in the first line of the offering formula are the same kind of sign. 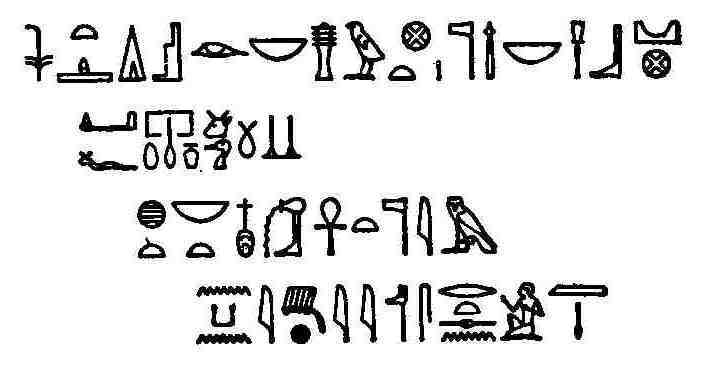 I explained then that, because the Egyptians wrote very few vowels, they had to use some device to distinguish between words which sounded different when spoken, but had the same sequence of consonants when written down. This is what the determinative does – it shows it’s the word for man, as opposed to a similar word meaning something else. But you remember all that. 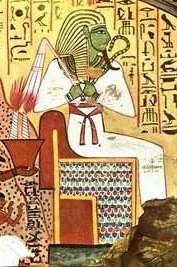 In this case, though, he’s not part of se, man, but of the name as a whole: he’s the male determinative for the masculine name, Senusret. He’s complicated to draw, but he’s worth it for the animation he will add to your enigmatic line of Christmas card hieroglyphs. Inanimate symbols are attractive enough, but you can’t beat a cute little animal or a tiny little person for instant appeal. I usually start with a circle for the head, then a triangle, pointed side down, for the torso. 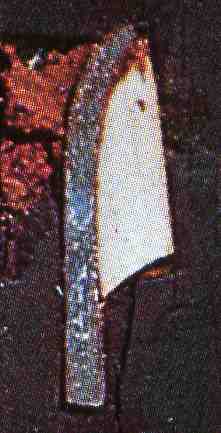 A second triangle, pointing left (in this case) forms the lower leg, and a smaller one sticking up behind it forms the raised knee. You can put in two short strokes for the feet, and two bent lines for his arms, as though he’s doing an impression of Toulouse-Lautrec power walking. And you’ve created a little man. See? He doesn’t have to be that complicated. They’re simple creatures, after all. I can’t decide whether the ancient Egyptians were lucky not to have to try to fit things around the Christmas shopping, or whether equipping their tombs was simply an endless version of it: going out with a list of stuff to buy, lugging it home, hiding it away where the kids can’t see it… I suppose that makes the afterlife an endless Boxing Day; one long procession of visitors and leftover food. Well, at least they brought their own cold cuts. And they were the leftovers of the gods. imakhy; the revered one. No, not Santa Claus; “the revered one” is the way the Egyptians customarily referred to the deceased person. Imakhy is quite a long word by offering formula standards. However, it contains some characters we’ve had before, like the ghosts of Christmas past. 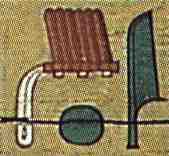 You’ll recognise the first character as the flowering reed they used to convey the i sound. You’ll also notice there are two of them at the end of the word. Where they occur in pairs, they are conventionally written as a y. Yes, all those sounds crammed into a single hieroglyph, like goodies in a Christmas stocking. Then you pull them out and realise you’ve got half of them already. The i and the kh symbols are only there as emphasis for those sounds; they don’t actually add anything extra. What is it? you wonder, just as many of you are wondering as you reach into the office Santa’s sack and your fingers close round that Secret Santa package… is it a comb? Is it a toothbrush? 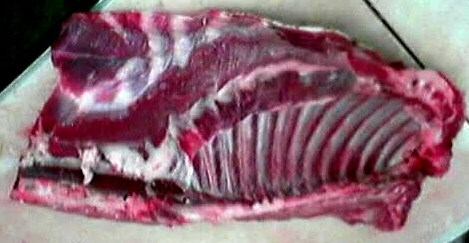 No, it’s a much choicer morsel than that: it’s a section of backbone (animal) with the spinal cord protruding from the end. See the ribs? There are six in this version, but you don’t have to be that accurate. I usually draw a horizontal line ending in a loop, then add four or five long, narrow, upright loops for the ribs. Bring two or three of them down below the horizontal line, to show the bumps of the vertebrae. 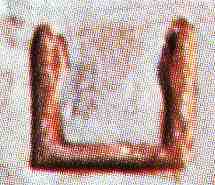 The imakh symbol is an ideogram – a picture of the thing itself. 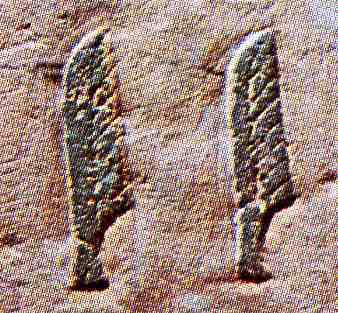 Imakh originally meant this cut of the carcass, and that word sounded similar to the word “revered”, so that was the sign they used to write it. The -y ending conveys the “one”. But I promised we wouldn’t get into grammar, and I won’t force it on you now. After all, it is Christmas. 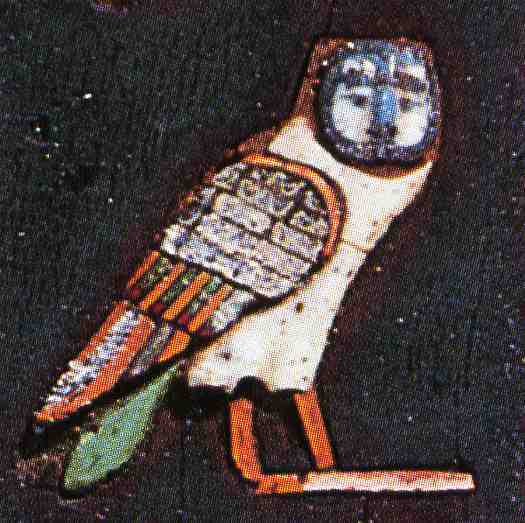 en ka en imakhy Senwosret, maa-kheru: for the ka of the revered one Senwosret, true of voice. Sound like anyone you know? Do you revere the colleague whose card or whiteboard you are embellishing? Are they known for their honesty, the accuracy of their pronouncements or their karaoke prowess? Never mind, it’s only a formula. Let’s look at the first bit of it. en ka en: for the ka of. Let’s do the easy bit first. The Sherlock Holmeses among you will instantly have deduced that the squiggly lines top and bottom correspond to the en. The Egyptians didn’t have souls. Or rather, they didn’t just have single souls. The deceased Egyptian exploded into a whole menagerie of afterlife entities: the body, the shadow, the akh (a heron-like bird with a lamp who circled the skies with the stars), the ba (a human-headed bird that hung around the necropolis and twittered mournfully – they’ve made a comeback on the Internet lately) and the ka, or life force. The ka had its advantages and disadvantages. 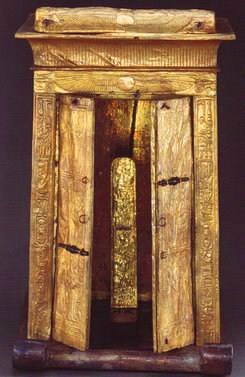 A disadvantage was that it was confined to the tomb, unlike the ba and the akh. Maybe it kicked the ba and the akh out, so it could get some elbow room, with the body and the shadow. Maybe that was why the ba twittered mournfully. The advantage was that the ka got to ascend the burial shaft, come out through the false door into the offering chapel and feast upon the food and drink brought by the family or magically invoked by the passer-by. The ka was the life force, and it fed upon the life force of the food. But we’ve been through all this before. 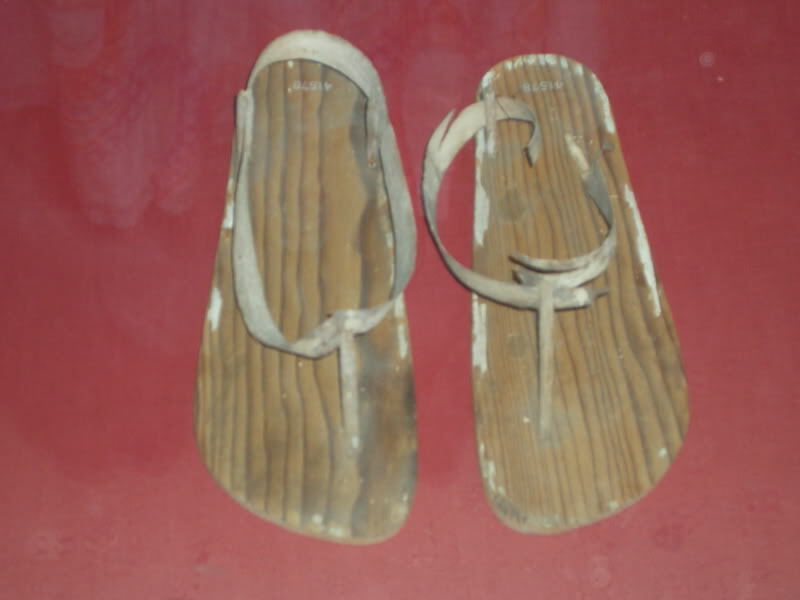 although they have taken care to paint this ka the dark red colour they used for male skin (men being more likely to be outdoors than women, and therefore more tanned). I draw my kas very simply: three straight lines plus a little crescent at each end for the hands. NB: this ka is not to be confused with the ka meaning bull of a few posts ago. Katie Hughes tweeted a good idea about that some time ago: kh1369 @SusanLlewellyn Egyptians would be sustaining the ka (“spirit”) with ka (meat)? What a multi-purpose word! Also, is “kau” like “cow”? Easy! She’s great at making these connections. Thereby. And thereby hangs a tale… or, in this case, tail. We can see it this time. Last time it turned up, it was invisible. There, I told you he was gorgeous. He’s tricky to draw, but he has four basic characteristics; if you emphasise them in your hieroglyphic hand, he will be recognisable. 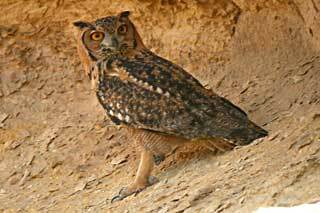 They are: a flat head; a front-facing face (unusual for the Egyptians, who were always presenting their best profile to the observer); a wing that folds right across his breast, as though he’s glaring at you over the top of his arm in his cape, like Zorro, and a square bottom to his tail. 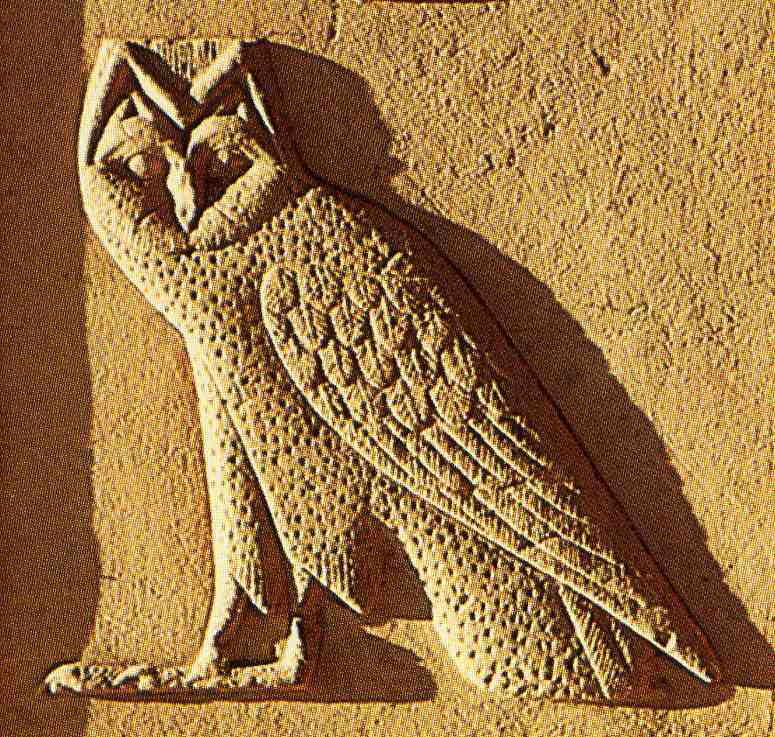 Put them all together, and you’ve got yourself an ancient Egyptian owl. I am so glad we can see him this time. He’s beautiful! 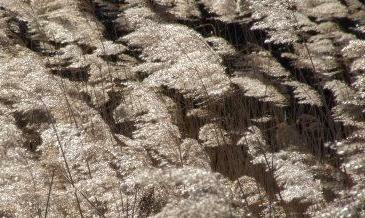 khet nebet nefret wabet ankhet netjer im: “every good and pure thing by which a god lives”. Needless to say, the components don’t appear in Egyptian in the same order as that in which they appear in English. A literal translation would be “which lives a god thereby”. That’s a bit of a mouthful. Let’s break it down into bite-sized pieces. It’s not a cross and, despite what they tell tourists in Egypt, it’s not the key to the Nile or they key of life or any kind of key, not even a key to the offiering cupboard. The Egyptians didn’t have locks and keys. They had bolts and bars and cords and seals, but not locks and keys. It doesn’t seem quite so refreshing when you think that what he’s really getting is a whiff of hot, sweaty sandal. 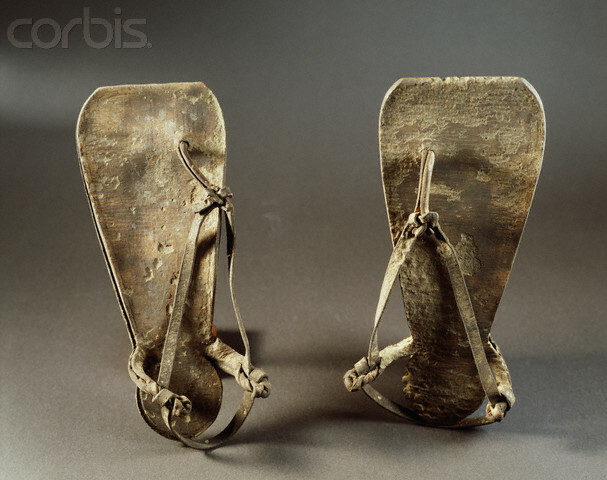 I mean, you know the ancient world must have been pretty smelly, but realising that their idea of a breath of fresh air was to stick a bit of sandal up your nose takes the concept to another level. Ankhet – “which lives”. Yes, the loaf of bread denoting the t has popped up again, as though from a toaster. The technical term for it is a resumptive pronoun, but as we’re not doing grammar, you can forget I said that.